It is one thing to make a personal commitment to achieve a teaching credential and to devote oneself to the profession. It is a different experience altogether to be responsible for 25 or more students every day for nearly ten months. For this and many other reasons, the Tri-Valley Teacher Induction Project (TVTIP) was created in 2002. TVTIP represents a collaborative organization that supports early career educators in Castro Valley, Dublin, Livermore, Pleasanton and Sunol. 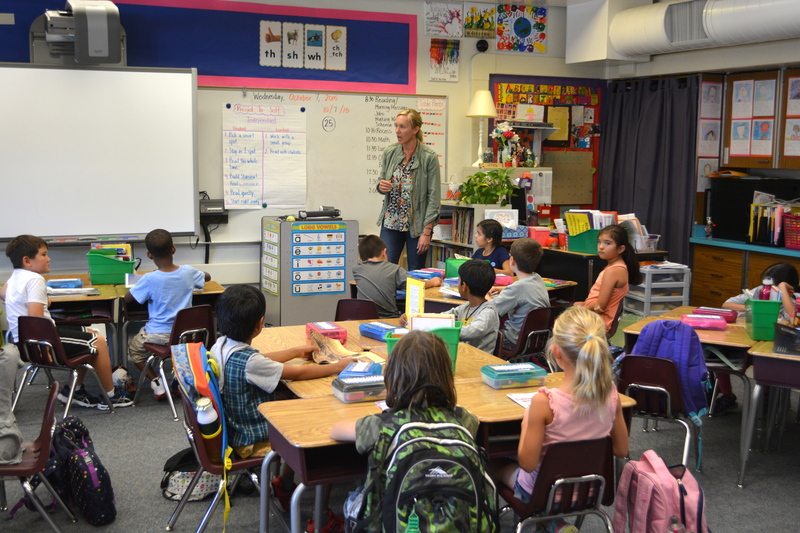 This program was developed to support eligible teachers as they transition from university preparation into their career as well as out-of-state trained teachers who possess a California single or multiple subject preliminary credential. The purpose of the organization was to create the pathway for these professionals to obtain their Level II Professional Clear Credential. The goal was clear. Research has suggested that knowledge of teaching practices, understanding student learning outcomes and the ability to reflect upon one’s own practice would lead to superior student achievement and to personal professional growth. So, how does this work? Newly minted teachers are frequently assigned to TVTIP Instructional coaches. These coaches partner with the teachers in-class and make observations and assessments. The goal is to share feedback in real time and to open an open dialogue with the instructor and coach. Keep in mind that the relationship between classroom teacher and coach is singular. The coaches do not report back to the site administrator. At its most basic level, this is a peer-to-peer bond. In some ways it resembles a Yoda to Jedi Knight relationship. OneDublin.org recently had the opportunity to sit down with many of the TVTIP coaches that support the Dublin Unified School District. It was a fascinating opportunity to understand the impact of this program and how it benefits many of our newer teachers. OneDublin.org: One of the common themes in our discussion revolved around trust. Specifically, trust between the new teacher and their TVTIP coach. Please share the value of this trust and what methods/strategies do you employ to cement it? Kimberly Ortiz (Program Director): “At the core of any relationship is trust. This is something TVTIP coaches firmly believe is fundamental to success in the classroom and in our professional relationships. In each TVTIP professional learning session, we integrate trust into our daily work with teachers by getting to know them through empathetic listening, seeking to understand their perspective, and maintaining confidentiality in order to provide a safe space for learning and advancing practice. As a result, coaches are able to provide tailored, differentiated and responsive coaching. “Through trust-building strategies, like empathetic listening, coaches model building trust as a critical component of a healthy learning environment for students. We hope by employing these strategies intentionally, we are engaging in parallel practices that may be added to our new teachers’ ‘toolkit’ and incorporated daily in the classroom. OneDublin.org: Since you are generally working with a newer teacher over one to two years, articulate some of the benchmarks that you trying to achieve with the teacher. 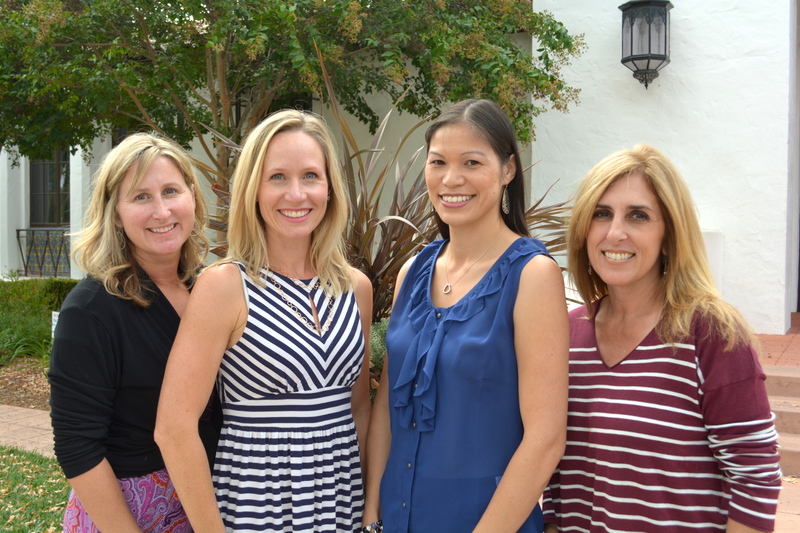 Jennifer Yuan (Instructional Coach): “Our main focus throughout the two-year TVTIP program is the advancement of teacher practice through classroom visits, reflective discussions, and implementation of research based instructional strategies. “Teachers in TVTIP begin the year by developing professional goals within the California Standards for the Teaching Profession. For each goal, the teacher and coach use a co-assessment process and make plans for growth in the selected areas. The co-assessment process is revisited during the year to check progress, make revisions and celebrate successes. “Teachers also spend time at the beginning of the year examining their classes and taking a deeper look at their students and their individual learning needs. We know that relationships are key to achieving high levels of learning and this is a continuous theme throughout the year. “As the year progresses, the teacher engages in an Inquiry Cycle. This process begins with the formulation of an Inquiry question and an analysis of student work. Based on the findings, teachers determine a course of action. Coaches work collaboratively with teachers to determine a plan, research best practices and plan lessons. Coaches are in classrooms, observing lessons and engaging in reflective conversations with teachers about the process and student learning. The Inquiry cycle culminates with a post-analysis of student work and a reflection on the effectiveness of the plan that was implemented, including next steps for teaching and learning. OneDublin.org: Though you are an experienced classroom teacher, please cite an example of when one of your newer teachers demonstrated a strategy represented something both positive and out of the box thinking. OneDublin.org: While you have taken a momentary step out of the day to day in-class scene, please explain how/why joining TVTIP has been a positive and productive experience for you. OneDublin.org: As DUSD continues to grow, there may be additional opportunities for some of your colleagues to join TVTIP. How and why would you encourage them to consider this potential opportunity? KC Nissen (Coordinator & Instructional Coach): “TVTIP is a wonderful opportunity for teachers who are ready to step out of the traditional role of a teacher, and work with students and teachers on a different level. As a coach, we are in classrooms taking a “balcony view” of the teaching and learning that occurs daily. We work side by side with our new teachers, engaging in reflective questioning, providing feedback, modeling and analyzing student work through an Inquiry process in order to provide the highest level of support for teachers and students in the classroom. As we know, teacher quality is the single biggest school-based influencer on student achievement. 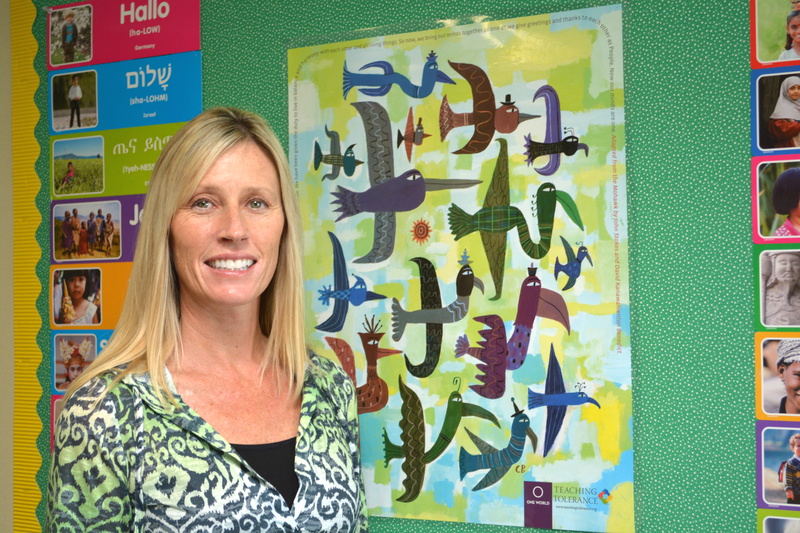 To round out our profile on TVTIP, we sought out the feedback from current Frederiksen Elementary Principal, Claire Mognaga. Claire is somewhat unusual in that she spent nine years in the program as a coach before returning to a school site as an administrator two years ago. We felt that her viewpoints might provide an interesting perspective. OneDublin.org: As one that had deep experience with the TVTIP program, in what ways do you feel that this experience has helped to make you a better administrator? Please explain. Claire Mognaga: “Working with the TVTIP program for nine years provided me several very specific skills that shape the way I operate as an administrator. I’d like to share two of the most important. First and foremost, the program is built upon forming trusting relationships with adult educators and fellow colleagues. Being transparent and clear in all my communications and assuming positive intent in my interactions with both staff and parents has helped in developing my relationships within the Frederiksen community. Focusing in on relationships is something I do as an administrator continually throughout each and every day. It guides each of my decisions and actions. So we hope that this profile has shed a much brighter light on a hidden gem of a program that positively impacts many of our new teachers. While teaching is considered to be a noble profession, it is also encouraging that some of our newest members to the craft are receiving support from their peers. We are confident that this results in more engaged and confident classroom teachers. OneDublin.org would like to thank all of the educators that contributed to this story. We appreciate your dedication in sharing your wisdom with your newest colleagues.